4 Bedroom Terraced House For Sale in Berkshire for Price on Application. An exclusive development of just four beautifully crafted 4 and 5 bedroom mews homes in the heart of Windsor's Royal Farm. Register your interest now for further information. 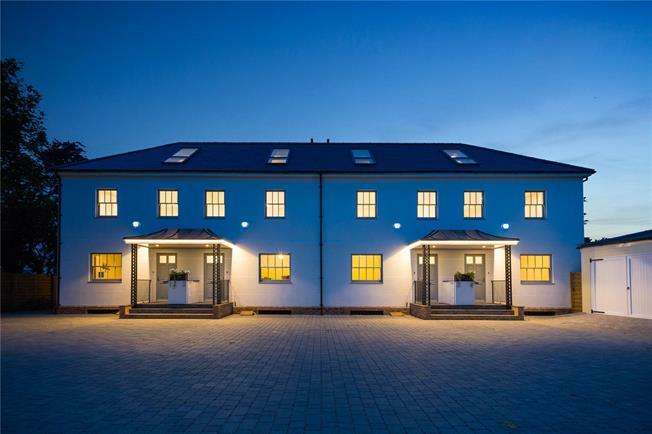 Moram Mews is situated approximately 2 miles from Windsor Castle and Windsor town centre, ideally placed to take advantage of the excellent range of shops, bars and restaurants that Windsor has to offer. Sporting and leisure facilities are varied with horse racing at both Windsor and Ascot, polo/horse riding in Windsor Great Park, golf at Sunningdale and Wentworth and rowing/boating on the River Thames. There are excellent mainline rail links to London Waterloo and Paddington (via Slough). The M4 is approached via Junction 6 giving access to Heathrow Airport, central London and the motorway network. An extensive range of schools is available in both the Independent and State sectors, including St George's, Upton House, Queensmead School, Eton College, St. John's Beaumont, Papplewick and Lambrook School, Oakfield School, Trinity St Stephen, St Edwards Catholic Middle School and Windsor Boys and Girls Secondary Schools to name a few.